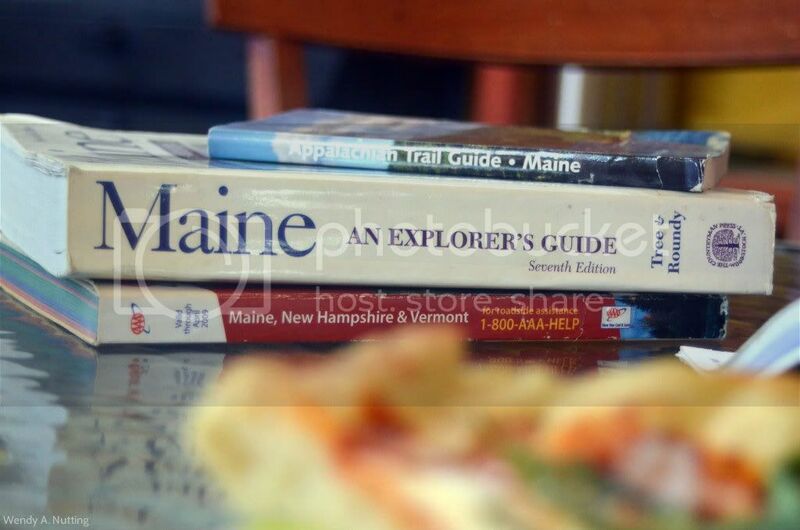 "Our trip to Maine was amazing and very busy. As I am settling back into our daily routine I have decided to weave in our Maine posts alongside our current posts until I catch up." 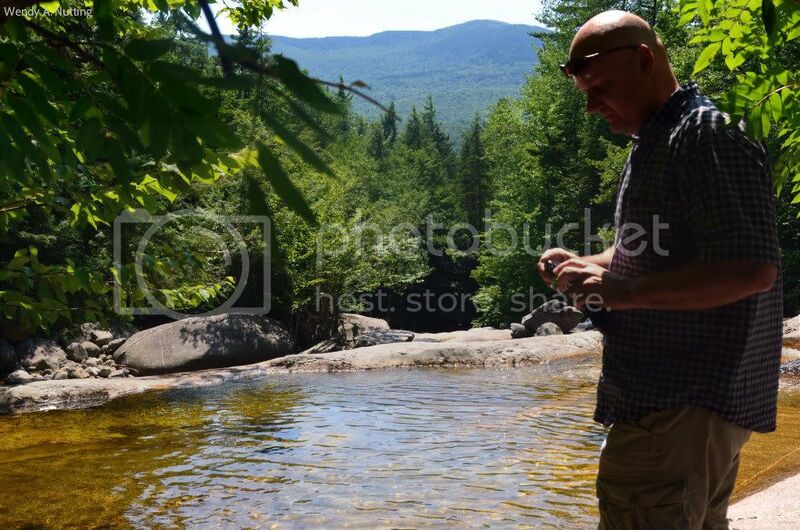 Clyde and I had planned on trying to visit a few scenic spots while we were in Maine. One was a farm/ocean to fork restaurant in Kennebunkport called Earth and the other was a place called Step Falls. I had read up on both and was looking forward to wonderful memories from each place. 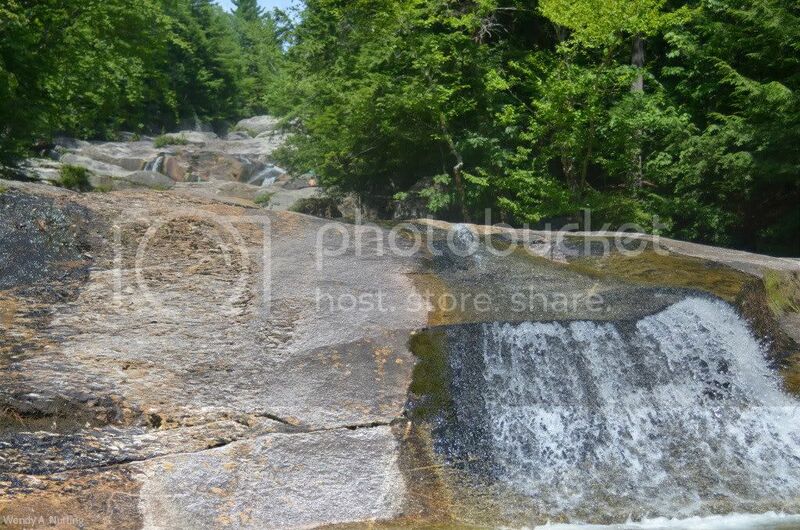 Step Falls is a natural rock water slide in the back country of Maine. The photos I had seen and reviews I had read persuaded me to make this trip happen. However, it seemed our time was fleeting from the moment we stepped off the plane. I always try to pack so much in every vacation and usually end up being completely over scheduled. There are so many people we want to see when we go home and family always makes it to the top of the list. I could have actually spent the entire week hold up in a cabin with all of them and it would not have been nearly enough time. So we decided to cancel our trip to Step Falls to take an extra day to visit and relax. I was a bit disappointed to be missing out on a trip to the falls, but we spent the day visiting family and friends, and the warm welcomes, big hugs and wonderful moments catching up with loved ones was just what we needed. It was all good until that evening when I was chatting with my brother and I mentioned Step Falls. He told me, he had just tried to find it last weekend but was unsuccessful in finding it's location. He then went on to say he had heard it was a must see from his friends and with that brief conversation, Step Falls made it back on the list. His last bit of advice was to make sure we bought a pie at the Pie Shack, like I need that much convincing buying a pie, right? So on Friday we pushed a day trip to Kennebunkport off the plate and headed NW towards the New Hampshire border. 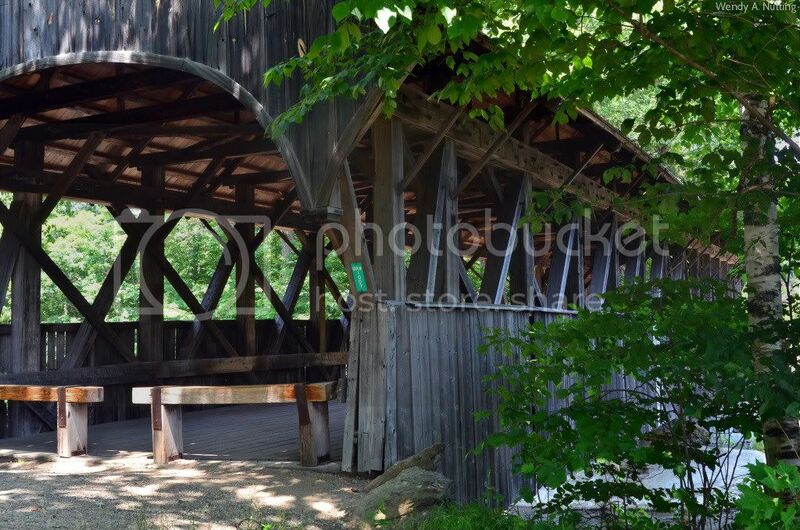 Step Falls is in nestled in the small picturesque town of Newry which is home to one of Maine's 9 covered bridges, Artist's Bridge, built in 1872. The drive was beautiful along the country roads and with our Maine Atlas and Gazetteer in hand, we knew once we arrived in Bethel our destination was just up the road. We found a artsy cafe in Bethel and stopped for a quick lunch. Clyde checked out a selection of guide books in their small, but useful, library and we enjoyed every bite of our pizza.. The food was delicious and the service was wonderful. 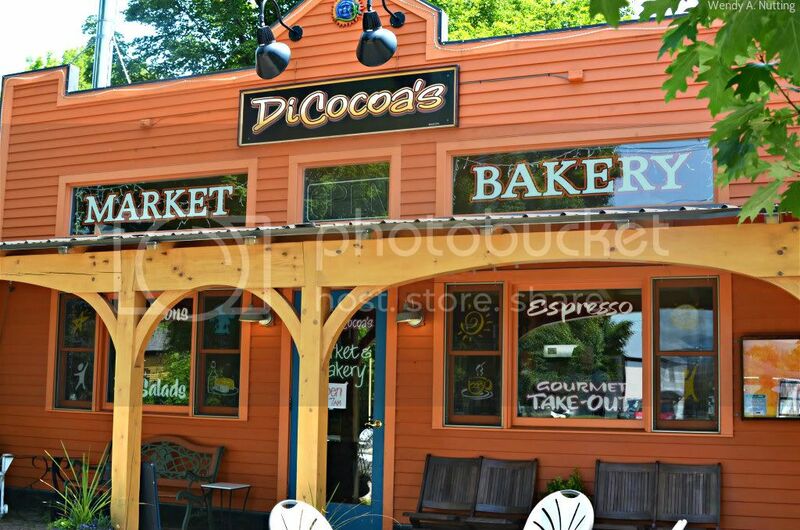 DiCocoas's Bakery and Market is a must stop if you are in Bethel and their handcrafted pastries are delicious! Clyde and I shared an amazing Coconut Key Lime bar with coffee before we left. 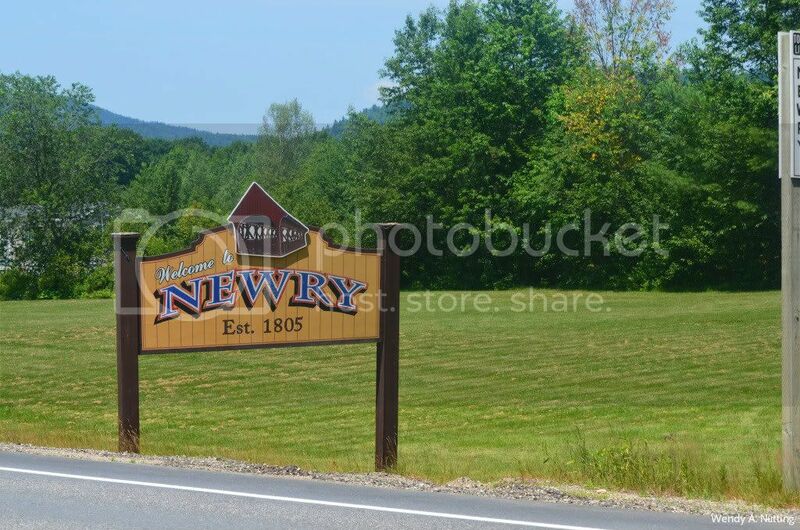 So, just a few minutes back on the road and we were in the town of Newry, population 344. We soon arrived at Artist's Bridge, it was beautiful and the setting could not have been more picturesque. The bridge has been closed off to vehicle traffic now, as they have built a steel and concrete bridge right along side to help preserve the 140 year old iconic landmark. 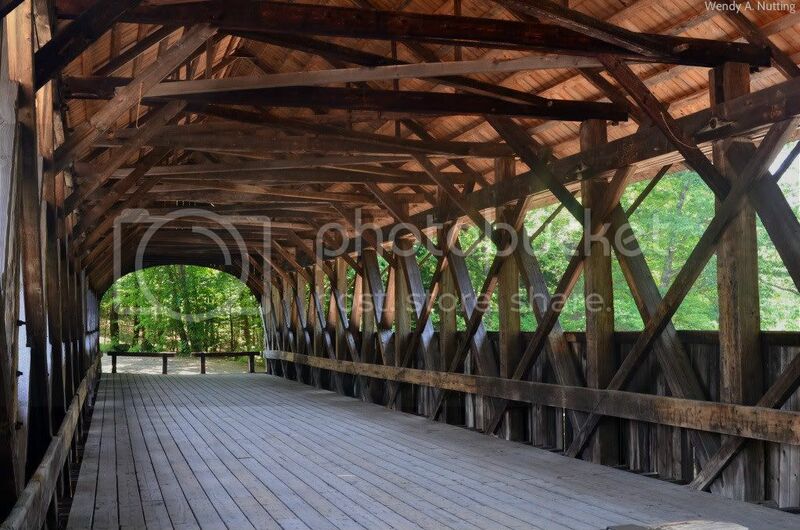 It was amazing to think of all the vehicles and passengers who have traveled beneath it's rustic and well worn beams. Artist's Bridge is simple and stunning and so romantic. It really is a must see and since I know you will all want to go to Step Falls after this post, you must take the small detour to this amazing piece of Maine/American history. Back on Highway 26, and just a few miles from the New Hampshire border there is a narrow dirt road/path off into the woods, that is the parking lot to Step Falls. The turn is just before the sign marking Wight Creek. 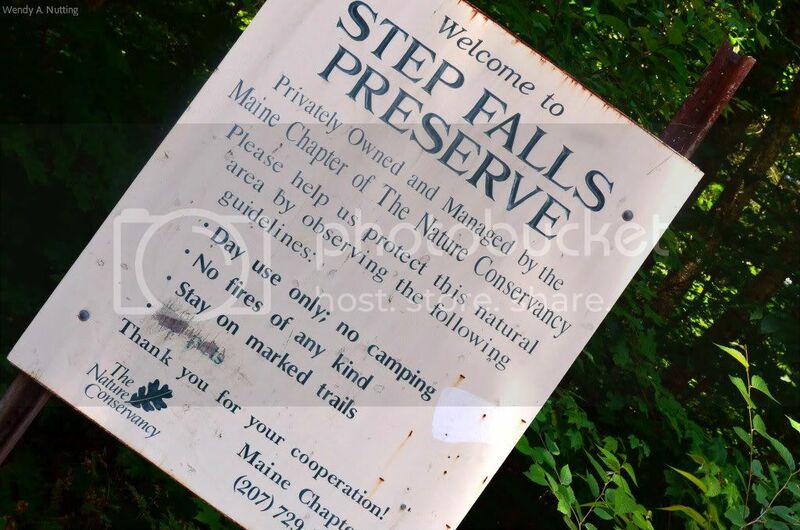 There is no sign for Step Falls, until you are in their wooded parking lot, which makes it a bit hard to locate. We drove past it on our way there but noticed a few cars in the woods and figured that must be it; luckily we were correct. After a short 15-20 minute walk through the woods you will come upon the falls. 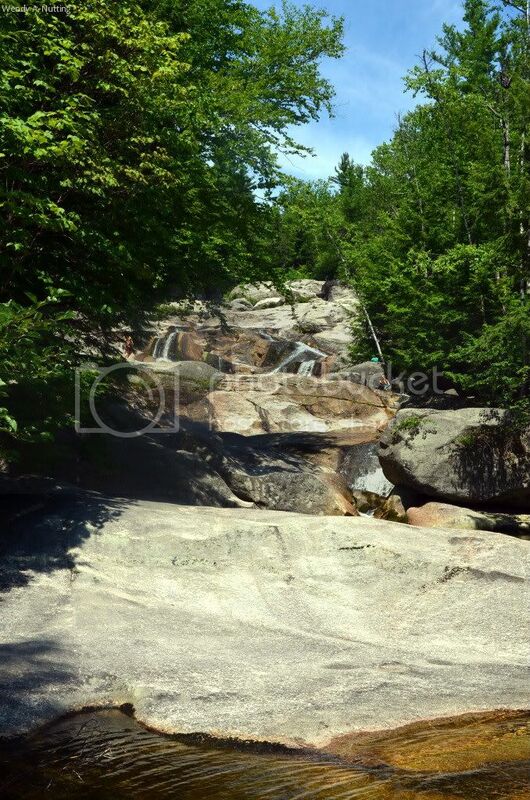 It is breathtaking when you step out of the dark cool forest to the hot sunlit granite slabs, crystal clear water pouring down so fast, curving this way and that way in such a determined fashion. The landscape is hard to explain and it's hard to capture the scale in photos. It is massive, and some of the pools are deep enough to cannon ball into; although we did not do that. We were happy to wade in the shallow pools, slide into the deeper pools and stand in the cool swift current rushing past us. Can you see the people halfway up? See I told you it was massive. It was as if we had dropped in on some magical storybook. This place is captivating and the views are incredible. The sound of the water rushing is surprisingly calming and the pools are a refreshing respite from the hazy, hot and humid Maine Summer heat. I can not wait to return, next time with my family so we can all enjoy it together. 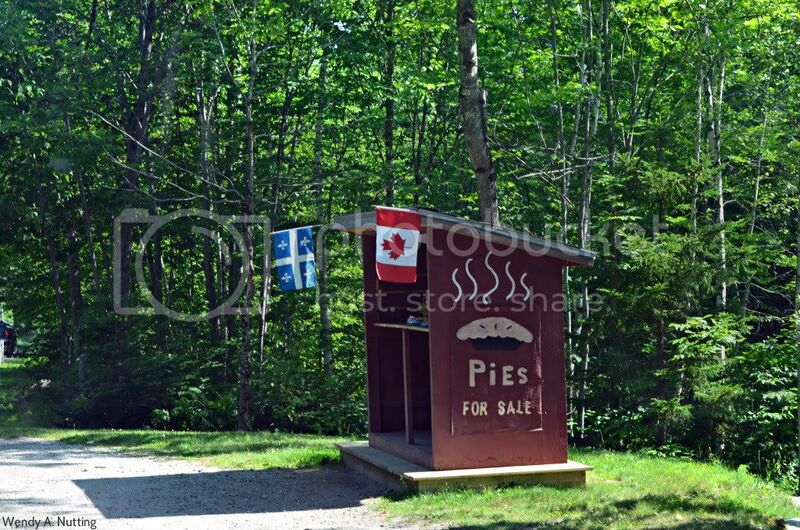 And least we forget the Pie Shack, or should I say pie shack. We saw the sign on the way to Step Falls. The sign announcing pies, cookies and whoopie pies and we saw the cute little shack that appeared to hold the famous baked goods, and we planned to stop on our way home. 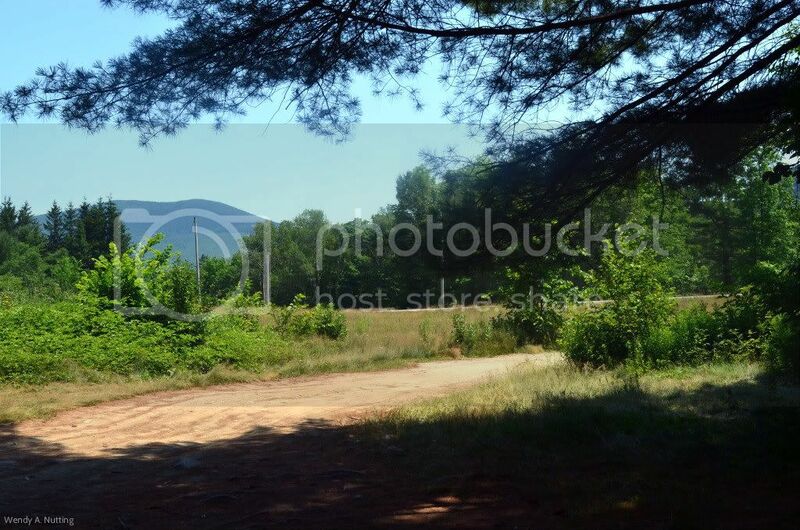 What we had not planned on was that the pie shack stood alone along the side of the road and was seeming run by no one, there was not even a parking lot. We pulled off into the gravel along the roadside and walked up towards the pies. The sign inside, as if it was standing guard over the fresh baked goods read, "Please put money in box on tree" and pointed to the right. Bewildered at such a concept, I gazed at the handmade goodies. There were Maple Cream Cookies, Strawberry Rhubarb Pies, Apple Pies, Blueberry Pies, Whoopie Pies and homemade dog biscuits. I told Clyde to pick whatever he wanted because it all looked delicious to me. 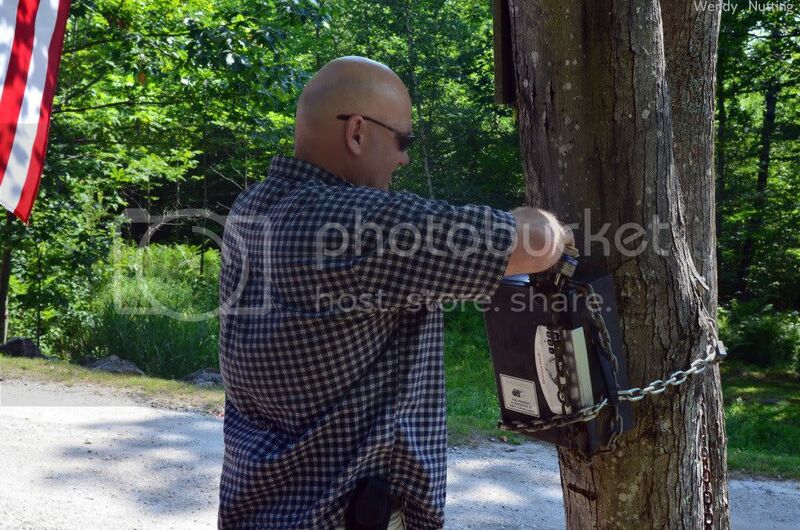 And before I knew it he was placing his money, in the box, on the tree to the right. We jumped back in the truck and headed back to Clyde's Mom's for dinner. 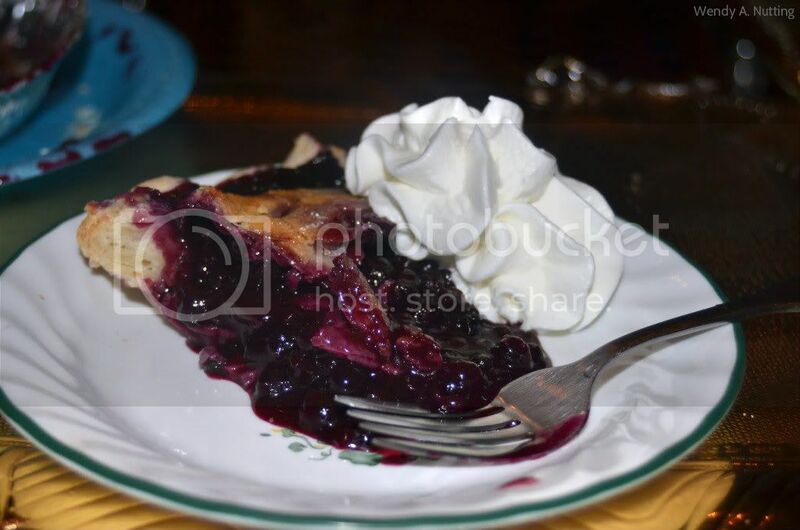 We did not want to be late for supper as the menu for the evening was homemade Lobster Stew and now included a homemade Blueberry Pie from the pie shack. 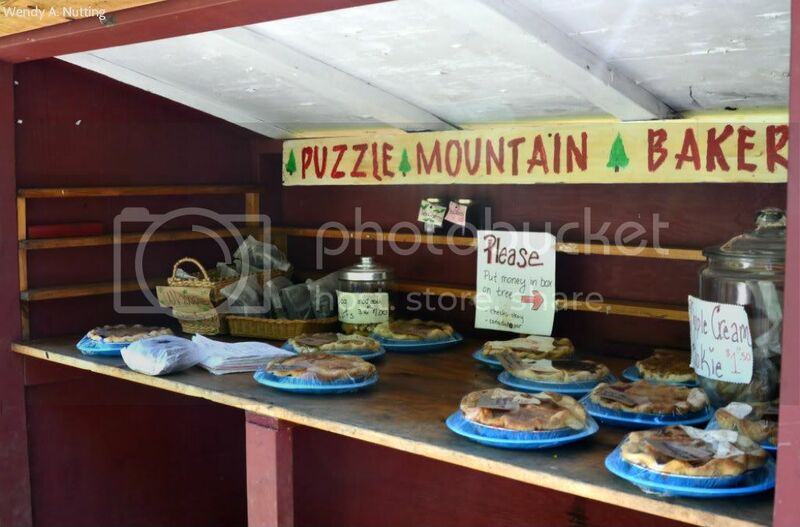 Ok, so we do know their true name is Puzzle Mountain Bakery and they actually have a Facebook page but we still like call it by the name the locals call it, "the pie shack". 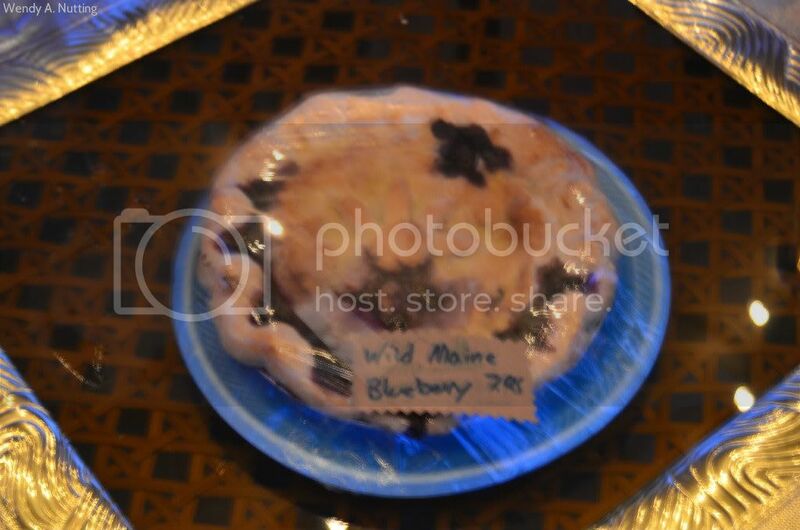 Dinner was so good and my Lobster Stew was gone before I thought to grab my camera, but I did have a chance to snap a photo of this wonderful Wild Maine Blueberry Pie, it was delicious. Oh it was a lovely day in Maine. 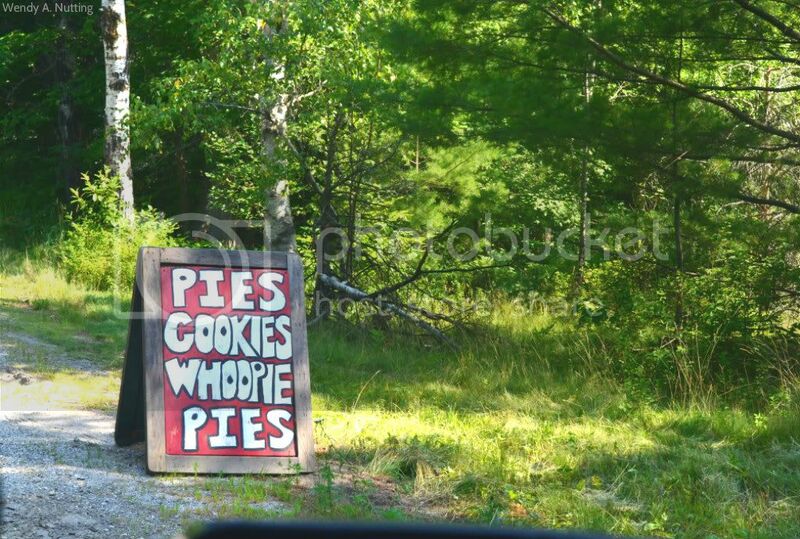 Would you stop and buy a pie on the side of the road?